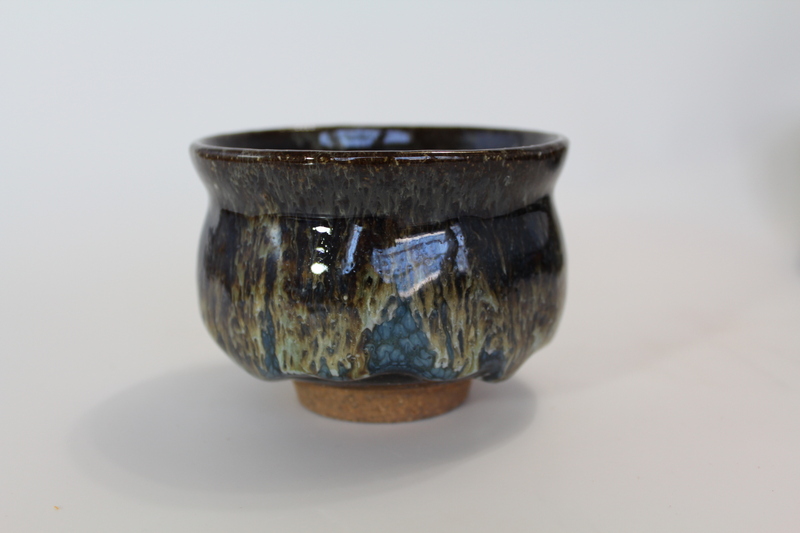 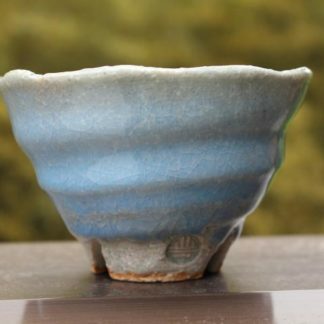 This chawan was made by Seigan Yamane. 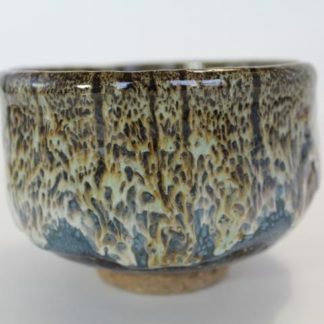 This piece was crafted using daido, mishima clay, and done in neutral firing with a temperature of about 1150 degrees. 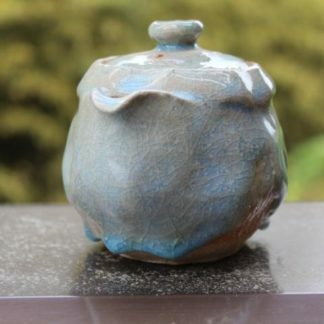 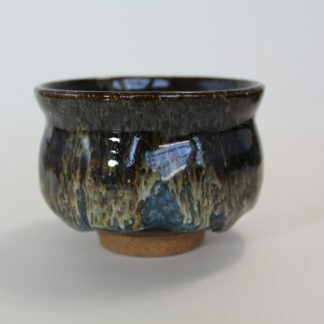 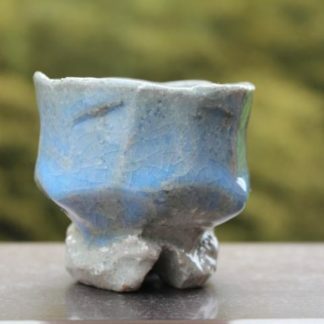 This outstanding glaze is called Kujaku-yu (peacock like glaze) and realized by applying natural glaze of straw ash, wood ash, feldspar, etc. 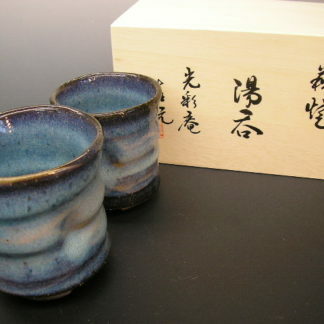 Shipped with an artist signed wooden box.